Check out our flagship product, the Yellow Beaks Window Bird Feeder! 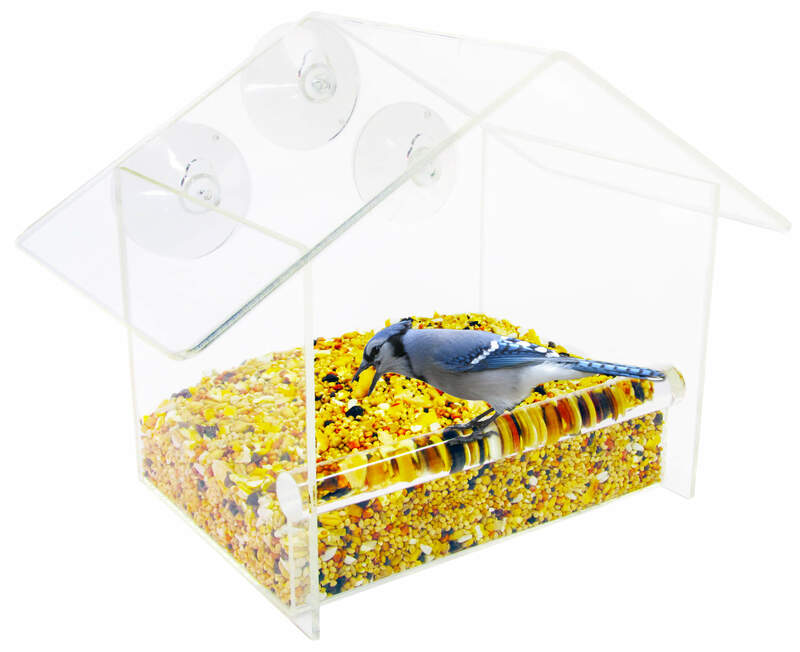 Made of high-quality acrylic, this feeder will make bird watching at the comfort of your own home so much more relaxing. PLUS, you’ll receive a free e-book titled, The Ultimate Insider’s Guide to Backyard Bird Watching, when you purchase our feeder, just because you’re an awesome customer! We cover almost all aspects of bird watching, including the types of feeders, the types of feeds, and various ways to attract birds to your own backyard. The various features of the product can be found on our Amazon listing page, so be sure to check it out. You’ll learn how our feeder benefits you, and even your cats (if you have any)! I love to watch birds and this cute little house feeder is the best. It’s so sturdy and it will stick to your window. It has 3 suction cups to make a sturdy suction to window and its clear you can see the birds that feed. I think that it’s so relaxing to watch the birds eating. If you love to watch birds you will like this bird feeder. I would recommend this Birdfeeder to anyone in the market. This would make a great gift to maybe an elderly couple.. Someone who would enjoy just watching the birds! My interaction with Yellow Beaks has been amazing. Truly a great company to purchase from. How cute!! This is the first I have ever heard of a clear bird feeder, and I am loving it!! I always felt bird houses were a great idea in general, but was always a disappointed that you could never see the bird in the bird house. Yellow Beaks gave out some fantastic advice on how to lure your little birds into their new house. We recently moved, and the Yellow Beaks Window Bird Feeder was one of the first things that made it over to our new house. We set it up in a high window off our dining room that opens to the backyard. We’ve had some unique and beautiful birds come right up to the windows while we’re in the room and it’s a magical experience indeed. Both Western Scrub Jays and Pinyon Jays have been visiting us this week which has been really exciting for me. I haven’t been able to snap any decent photos of our new visitors, but I’m working on it! Join the Yellow Beaks Club for discount codes, newsletter, and great tips on birdwatching! Join The Yellow Beaks Club For Discount Codes, Birdwatching Tips, and More! Enter Your First Name And Email To Join The Club!